Sunday look is all about matchy-matchy! First time to pulled off a matching outfit. I choose chevron prints than floral today because I love the contrast color and design. I already told you before that I am so addicted to it. 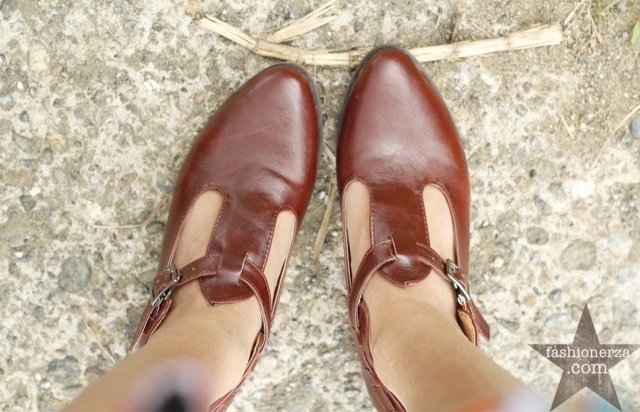 Anyhow I put on my vintage inspired shoes that's really comforable for a long walk. And that's all for now, see you on my next post! I love that print! Such a pretty dress. So nice dress..love the pattern! xo! Very cute dress! It looks amazing on you, great choice!